What is it about killer children that keeps us terrified? Is it because they're supposed to be innocent? Whatever it is we seem to just keep going back for more and here's another great addition to the list. British Horror may not be what it once was but that doesn't mean there isn't still quality films being released. "The Children" is one of the gems that flew under a-lot of radars and honestly it deserves a-lot more recognition, let me tell you why. The film build such great suspense, you feel it in the opening few minutes. You know something bad is going to happen but you don't know what and you don't know how but it's there waiting, when it does deliver it doesn't lose the grip of suspense, it grabs harder and ramps up the tension. The suspense is what drives this film forward and the cast put in amazing performance, even the children, child actors can be 50/50. Credit is also due to writers Paul Andrew Williams and Tom Shankland (Shankland who also directed the film). They delivered an amazing script which never bores and Shanklands direction brings you in-to the terrifying ordeal. For those of you who are wondering, the answer is yes the film does feature blood, lots of it. The gore in no way diminishes the film, in-fact the film would seem deflated without it. Though I have to admit that some scenes left me very unsettled but that's what you want if there's gore, well that's just my opinion. 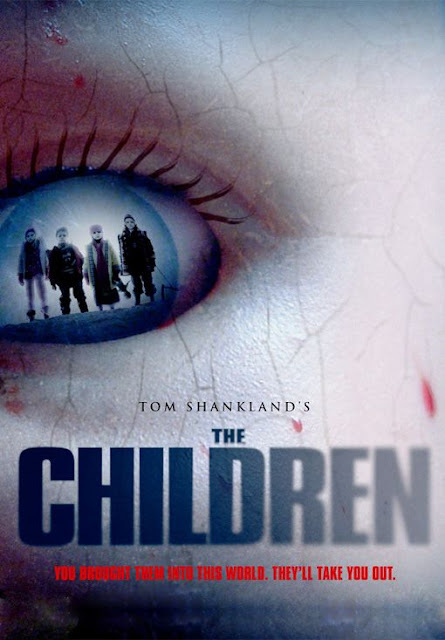 "The Children" is a great film to watch during the winter time, especially if you have kids of your own, even if you haven't it's still highly entertaining. So I suggest you switch the lights off, put on the fire, curl up on the settee and prepare to be shocked and terrified.